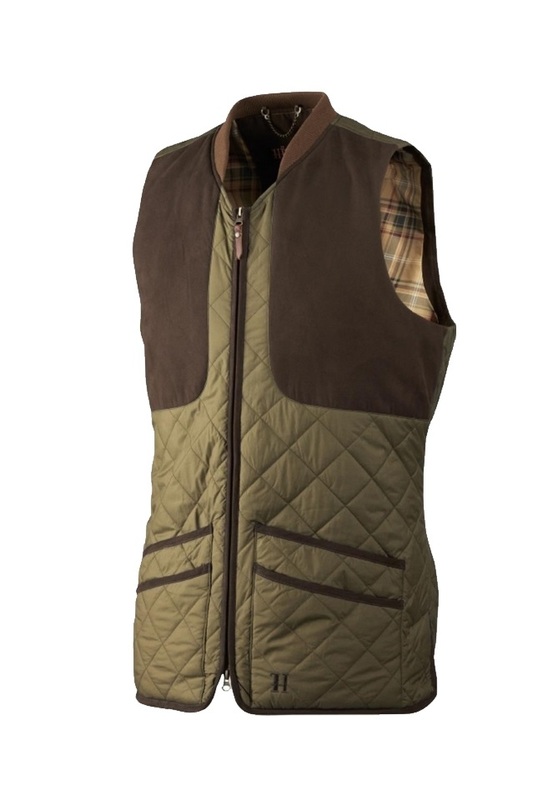 A highly advanced, windproof, waistcoat excellent for chilly days the Harkila Berghem Waistcoat is an ideal garment for the shooter with its many features that support movement and temperature. Mechanical stretch offers freedom of movement, allowing the shooter to manoeuvre and pivot easily, giving you fuss-free, smooth and fast aiming. Durable Water Resistant coating offers an outer layer of protection against wet weather, keeping your torso dry in light showers. Lining is wind-resistant, preventing cold chills from entering through the material. Thermo Poly Fibre padding is an excellent insulator, keeping you warm during cold weather. 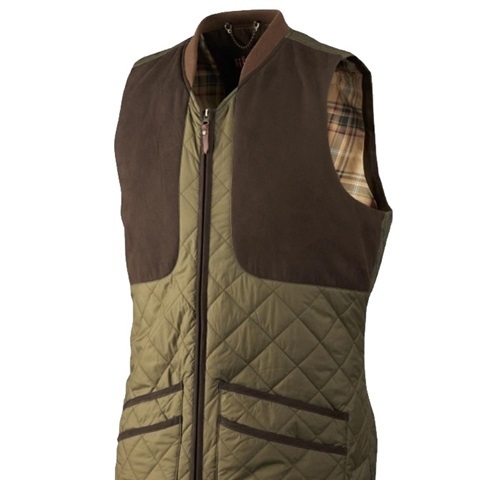 Reinforced shoulders absorb kickback produced from shotguns/rifles, allowing you to shoot comfortably without aching shoulders. Double cartridge pockets are spacious and can hold plenty of cartridges.